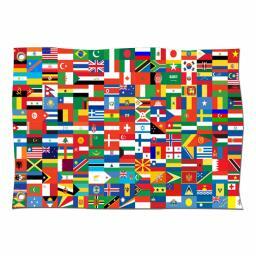 This Countries of the World Flag is truly special, as it features each of the 195 different countries in the world. 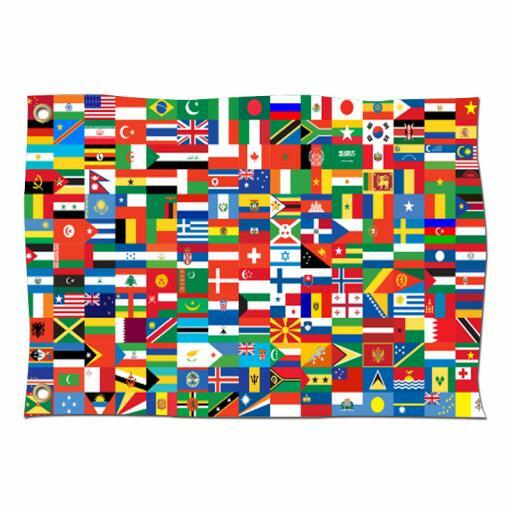 A magnificent combination of flags, this patchwork of Country Flags is perfect for any globally themed event or just to decorate a space. This Flags of the World flag is digitally printed. It is important to note that whilst every effort has been made to ensure the correct colours of each Nation, there may be a degree of artistic licence involved to ensure that as many countries as possible are displayed on this incredible looking flag. 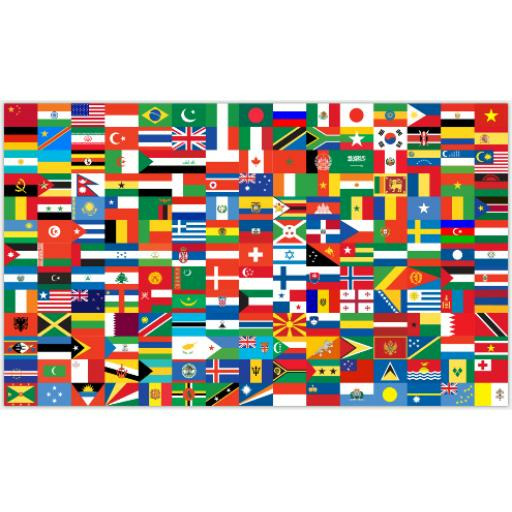 Flag size 5′ x 3′ (1500mm x 900mm) Content – 100% polyester.